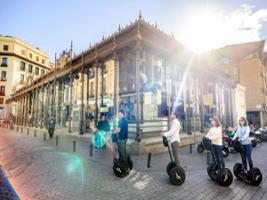 A 2.5-hour guided Segway tour of Madrid using next-generation Segways. Once you are trained and confident, you will explore the city's most notable features, including some places that only locals know about. Visit and discover the secrets of the Almudena Cathedral and crypt and learn more about the history, customs and traditions of the Spanish capital. Have fun and feel unique in your experience in a Premium Small Group tour, delight yourself with our farewell. 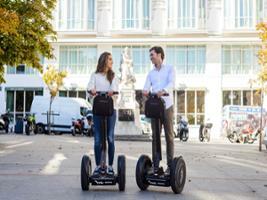 Come and enjoy the newest and safest model of Segway, the "Genuine i2 Segways". 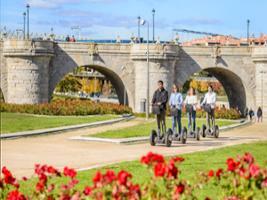 Always in the safety hands of your guide, in this experience you will discover how to use your authentic Segway in a magical atmosphere that only the Madrid skyline can create. Your tour will be adapted to your skills levels. If this is your first time, you need only 5 to 10 minutes to become an expert. 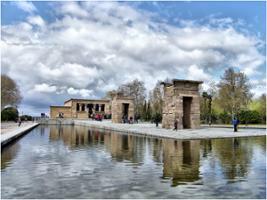 After the training, we will show you the Madrid you want to see, including the main sights and secret nooks known only to the locals, such as the vantage point of the Mirador del Factor with its stunning panoramic views of the Almudena Cathedral and the Royal Palace, where the mountains make the perfect background. The tour will continue to the Almudena Cathedral. We will visit the temple and its crypt and discover that it holds the title of being the last Spanish cathedral to be completed, and is one of the few cathedrals in Spain to suffer the ravages of the civil war, before being finally consecrated less than 25 years ago. 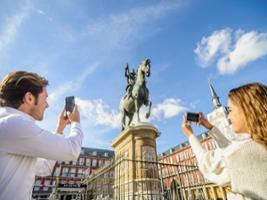 You will travel through Habsburg Madrid, the oldest part of Madrid, containing beautiful narrow streets reminiscent of Madrid's most ancient times. 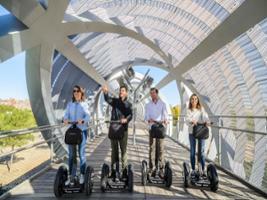 If you like longer tours, the Madrid Río park is a perfect setting to feel how a perfect urban combination is created by the blend of city and nature. 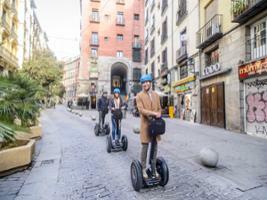 Glide through a green path of forests, historic gardens, parks and many more places to be discovered with the best guides on this Segway tour. 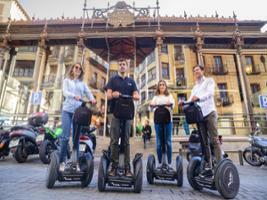 Have fun and feel unique in your experience in a Premium Small Group tour, delight yourself with our farewell. Max. Weight: 130kg. Minimum Age: 10 years old.